Q. I would like to get headphones to use with my tablet. I will mostly use them for watching videos and listening to music in bed. Bluetooth wireless would be nice. What do you recommend under $100? A. Bluetooth is great for lots of reasons, but watching video isn’t one of them. You may experience audio synchronization issues so if you get Bluetooth headphones, make sure they have a wired connection as a backup. Starting with Bluetooth models, for under $30 the Vomercy VC-60 Bluetooth headphones feel a bit flimsy but sound decent. Vomercy does not have a website but you can easily find them online. Here is a trick you can use to get a pair of superb $149 Koss Pro 4S headphones for about $100. Go to koss.com and sign up for their mailing list. They regularly send out 30% off promotions, bringing the price under $105. They come with a case, have a lifetime warranty and are the best-sounding headphones on this list. Olympus OM-D EM-10 and EM-10 Mk II: I have always loved Olympus Micro Four Thirds mirrorless cameras because they are, first and foremost, supremely good picture takers. They also create beautiful pictures effortlessly, no matter the situation. I often show travel pictures on my iPad and people ask, “What kind of camera did you use? Amazing pictures!” I use a lot of cameras, but when I get this comment it is usually my Olympus pictures they are praising. You, too, can get gorgeous pictures easily with today’s holiday product highlight. 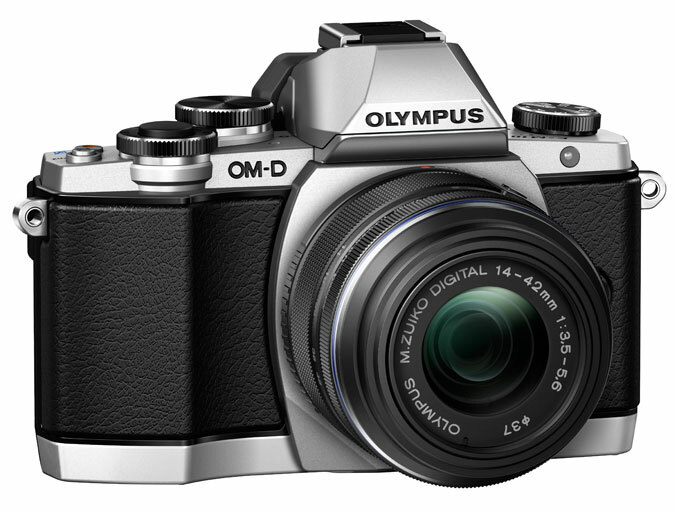 The OM-D EM-10 and EM-10 Mark II are Olympus’ least expensive mirrorless cameras with an electronic viewfinder. They look like smaller versions of the ubiquitous and inferior SLRs you see littering the shelves in big-box stores. Unless you are photographing sports, mirrorless is better than SLR in most every way. I feel very strongly about this, and have come to see a lot of photographers and writers join me in this opinion. The EM-10 with 14-42mm kit lens currently sells on Amazon for $449 and absolutely has no equal at the price. The updated $699 EM-10 Mk. II gets you a better electronic viewfinder, better image stabilization and a host of other updates. It is worth the extra investment but if want the absolute best $450 camera you can buy, snap up an EM-10 while you can. You can add the excellent Olympus 40-150mm telephoto zoom lens for only $99. Together, the two lenses provide great range that will cover most all the needs of the average photographer. It all fits nicely in a small bag for an outfit that is both powerful and lightweight. Learn more at http://tinyurl.com/olympusem10 (direct product link) or getolympus.com.